Aquaponics has the potential to play a very important role for our future global food production. In modern times, it has become a way of life for many people as it enables growing food for oneself and the community. Here are 7 of the top benefits for having an aquaponics food source. These days, it’s hard to trust what you’re eating when it comes from the supermarket. The use of pesticides or herbicides is harmful to human health, and when it comes to other forms of gardening, aquaculture and hydroponics, these things are also harmful to your fish and bacteria. Also, using hormones or fish medicines can cause damage to your plants. However, with an aquaponics food system, you produce food that is chemical free. Every year, the distance traveled by each person to the grocery store can easily rack up to hundreds and even thousands of miles. When you grow your own food at home, there’s no need to drive to the shop, then overspend on time and money while shopping for food. For those that don’t have a suitable outdoor growing space, you can easily grow food indoors with an aquarium based aquaponics system. Anywhere there is light, whether it’s natural or artificial, an aquaponics garden can be grown. This is why it’s very suitable for indoors or outdoors. An aquaponics system is portable, therefore, in the winter, larger systems can be relocated into a garage, basement or a greenhouse. Food doesn’t get any fresher than coming immediately straight from the source. 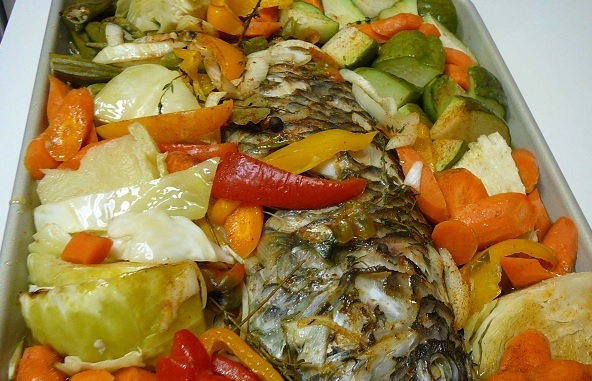 The at-home accessibility of vegetables and fish means that there is no middle man involved which of course prolongs the time in food being on served. An aquaponic fish can literally be swimming around in the water and 20 minutes later it can be sizzling on your dinner plate. We all know that harmful chemicals are often if not always contained within mass produced food and vegetables. Not only will aquaponically grown vegetables be safe to eat, but the fish will also be a lot safer than buying from the grocery store or catching it in the wild. This is because you already know what your fish has eaten and you know what their environment and harvesting conditions were. You know when they were harvested and how they were stored, if at all. This complete control over all the vital factors in food safety gives you a peace of mind like no other. One of the best things about aquaponics is that it’s a sustainable system that doesn’t deplete natural resources. The environment will not be compromised as you’re reducing the demand for fish from the world’s oceans (a growing problem and concern). Everything in aquaponics is recycled naturally so no energy is wasted and no pollution is induced. All of the above benefits all add up to a path of food independence in the future. It could be likely that the current petroleum-intensive food distribution system will get worse and if it does, then the most important thing is to have another option. If conditions get better, then you have choice and you’ll still be saving yourself time and money. Aside from the very important points above, it’s also fun and captivating to be involved in an aquaponics project, especially if you have children. More and more schools and different communities worldwide are learning this exciting method of food production because its life changing. 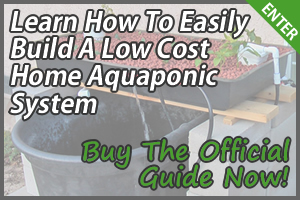 If those reasons are not enough for growing your own aquaponics food, then check out the Top 10 Benefits Of Having Aquaponics At Home. 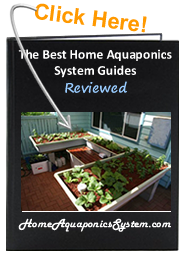 To get the most out of your aquaponics system, I highly recommend the following articles, where you can decide from the highest rated and bestselling products for aquaponics. Hydroponics VS Aquaponics – Which Is Better? 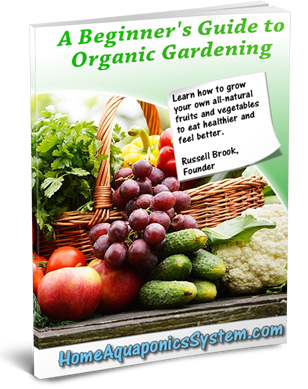 Get 'A Beginner's Guide to Organic Gardening' Mini eCourse Now! 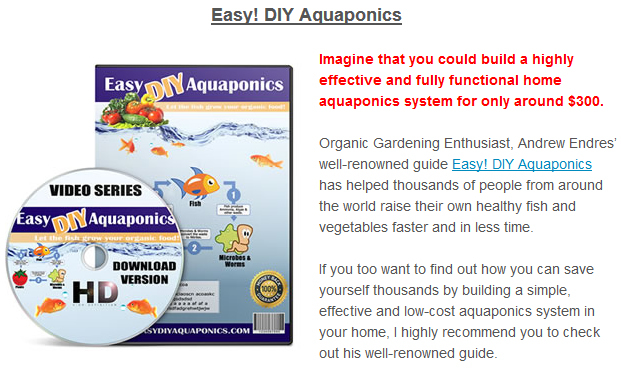 Simply enter your name and email below to download our FREE eCourse + Home Aquaponics System newsletter now. Out of passion and commitment, I've set up HomeAquaponicsSystem.com to encourage and help those who are looking to set up their own natural and sustainable food source. 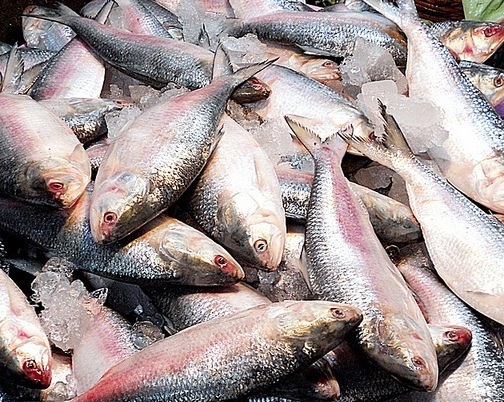 What Is The Right Stocking Density Of Fish? Why Use Fluorescent Grow Lights? Why Use LED and Induction Grow Lights?